The persuasion power of potential benefits for Kentucky’s number one agricultural export is easily felt. 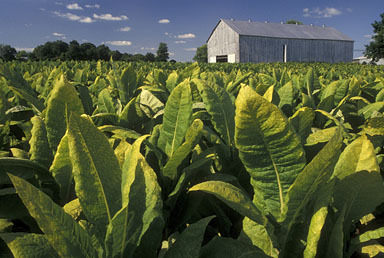 [xxiii] However, the love for tobacco in the United States has diminished just like in many of the TPP countries. [xxiv] Between 1965 and 2013, the proportion of the U.S. adult population that smoked fell from 42.4% to 17.8%. [xxv] The United States has enforced various restrictions on tobacco. The average sales tax on a single pack of cigarettes is $2.21. [xxvi] The TPP will serve as the model trade product agreement for the 21st century, and will likely serve as the basis for future economic integration. [xxvii] The United States has the potential, on an international level, to expose tobacco for the dangerous product that it is. [xxviii] At the very least, the United States has the potential to acknowledge and protect a country’s right to restrict tobacco and promote the health of its citizens. [i] Taylor Woodford, What Is the Trans-Pacific Partnership and Why Are Critics Upset by It?, Newsweek (June 12, 2015, 1:12 PM), http://www.newsweek.com/tktk-tpp-explainer-342449. [iii] David Thomas, A TPP Agreement: An Opportunity for Kentucky, Business Roundtable 1, http://tradebenefitsamerica.org/sites/default/files/studies/BRT_TPP_KY.pdf (last updated Sept. 30, 2013). [iv] Will Malaysia’s Tobacco ‘Carve Out’ Be Adopted in Pacific Trade Deal? Framework Convention Alliance, http://www.fctc.org/media-and-publications/fact-sheets/industry-interference/1096-will-malaysia-s-tobacco-carve-out-carry-in-pacific-trade-deal (last updated Sept. 16, 2015). 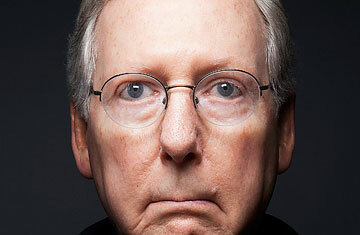 [vi] John Brinkley, Mitch McConnell Fights For Tobacco Interests In Trans-Pacific Trade Deal, Forbes / Business (Sept. 8, 2015, 11:47 AM), http://www.forbes.com/sites/johnbrinkley/2015/09/08/with-friends-like-mitch-mcconnell/2/2. [vii] Will Malaysia’s Tobacco ‘Carve Out’ Be Adopted in Pacific Trade Deal, supra note iv. [viii] Tobacco Control Laws: Explore Tobacco Control Legislation and Litigation from Around the World (Malaysia), Campaign For Tobacco-Free kids (July 22, 2015), http://www.tobaccocontrollaws.org/legislation/country/malaysia/summary. [ix] Brinkley, supra note vi. [xiii] Will Malaysia’s Tobacco ‘Carve Out’ Be Adopted in Pacific Trade Deal, supra note iv. [xiv] Brinkley, supra note vi. [xviii] Smoking & Tobacco Use, Centers for Disease Control and Prevention, http://www.cdc.gov/tobacco/data_statistics/fact_sheets/fast_facts/ (last updated Sept. 16, 2015). [xix] See Brinkley, supra note vi. [xxi] See Will Malaysia’s Tobacco ‘Carve Out’ Be Adopted in Pacific Trade Deal, supra note iv. [xxii] Will Malaysia’s Tobacco ‘Carve Out’ Be Adopted in Pacific Trade Deal, supra note iv. [xxiii] Kentucky Agricultural Facts, Kentucky Farm Bureau 1, 4, https://www.kyfb.com/media/files/fed/home-page/2013/CommodityBooklet.pdf (last updated Dec. 16, 2013). [xxiv] See Brinkley, supra note vi. [xxvii] Will Malaysia’s Tobacco ‘Carve Out’ Be Adopted in Pacific Trade Deal, supra note iv. Newer PostThoroughbred Horseracing Integrity Act of 2015: A Step Forward, But In The Right Direction?